Free shipping. Buy direct from HP. 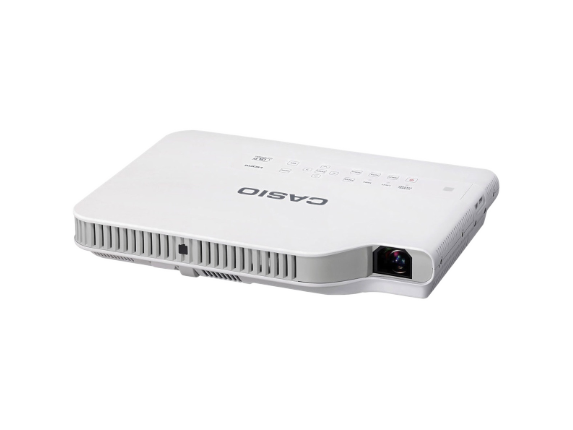 See customer reviews and comparisons for the Casio Slim XJ-A142 DLP Projector - 4:3 - White, Light Gray. Upgrades and savings on select products. The Slim Series incorporates a CASIO developed and patent pending Hybrid Light Source which combines Laser and LED technology for amazing high brightness and can last up to 20,000 hours. The Slim is an earth-friendly, low maintenance, 5 pound projector with features such as a 2X Power Zoom Lens making it a great portable projector. The Slim Projector eliminates the need for a short life mercury lamp (typically 3000 hours) and is economical to operate.